And what every kitchen needs is a Joy of Cooking cookbook. I have one, but sadly I have a "modern" edition. I don't have the good edition. The definitive Joy of Cooking - the one that was published in 1975. It's possible to find used versions of this, including printings up to the mid 80's of this, the 1975 edition. 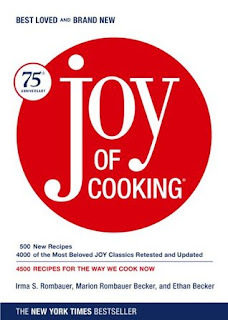 If not, a good second choice would be the 75th Anniversary Edition Joy of Cooking (2006). The Anniversary Edition tries to return to the tone of the wonderful 1975 edition. 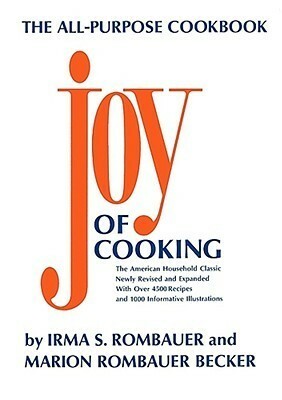 Honestly, I don't want to be too hard on my own 1997 All New Joy Of Cooking - it is the most used book in my house. Sure it's got the trendy but misguided "light" versions of traditional recipes, but it still is chock-full of cooking basics and illustrations. It's just not as awesome as either of these other two Joy of Cooking books. Nevertheless, I am sure it will be open on the kitchen counter today. It wouldn't be National Cooking Day without it.